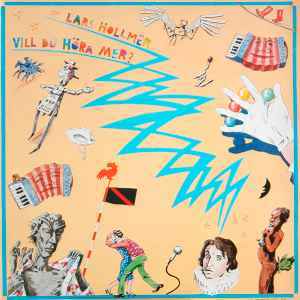 Lars Hollmer ‎– Vill Du Höra Mer? Track A1, A4, A5 & A9 recorded January 1982. Track A2, A5, B1 (part 2), B2 & B5 recorded March 1982. Track A3, A8, B3 & B6 recorded May 1982. Track A7 & B1 (part 1) recorded February 1982. Track B4 recorded August 1981.